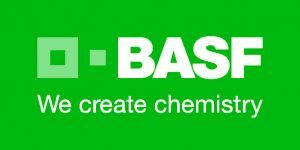 With over 70 years of experience, our commitment is the sustainable supply of the finest specialty chemical ingredient lines from top-tier manufacturers to our broad base of process industry customers. Now serving the entire eastern United States! At Superior Materials, we’re focused on developing and maintaining long-term, mutually-rewarding relationships with our customers and partners. Thank you for everyone who helped make last year’s Eastern Coatings Show a success. The Superior team and our Principal/Partners enjoyed speaking with you. See you at the next one in 2019! 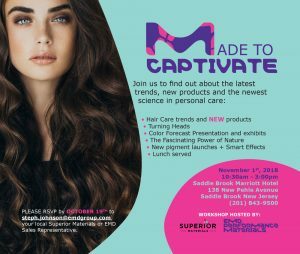 The attendees at the 2018 Superior Materials/EMD personal care workshop, “Made to Captivate,” on November 1, in Saddle Brook, NJ tell us that they learned a lot. We are already busy planning next year’s workshop. We would love to hear from you about what you would like to see next time. Please let us know! Superior Materials, Inc. and PQ Corporation are delighted to announce the appointment of Superior as distributor for PQ specialty silica products.  Superior has regional responsibilities in the eastern half of the United States depending on product range. We are very excited to announce our official geographical expansion; we now distribute products into all states east of the Mississippi River. Watch this space for further product line and personnel announcements!